Nagoya, Japan. Photo courtesty of Ken Raggio. In all of Japan, there are about 126,405 members in 29 stakes and 164 wards. There are currently two temples, located in Tokyo and Fukuoka. Another temple is currently being built in Sapporo. The Sapporo temple was announced in October general conference of 2009 and had its groundbreaking in October of 2011. Tokyo Temple. Photo courtesy of John Egbert. Nagoya’s local cuisine is called “Nagoya meshi”. Some popular dishes include tebasaki, which is marinated chicken wings in a sweet sesame sauce. Kishimen is flat, slippery noodles which are usually dipped in soy sauce and eaten with leeks. Tenmusu is a ball of rice with tempura at the center and wrapped in seaweed. Much like the rest of Japan and many other Asian countries, the center of any diet is rice. Kishimen noodles. Photo courtesy of tripadvisor.com. The closest airport to Nagoya is the Chubu Centrair International Airport (NGO), which is right off the shore of Tokoname. There is a smaller Nagoya Airfield located in Nagoya itself. It is also home to Nagoya Station, one of the world’s largest train stations, which sends trains to many of the nearby regions. The Nagoya Subway is used to get people from place to place inside Nagoya itself. Other public transportation includes buses and taxis. Nagoya is a very safe city despite its size and is very friendly to tourists or non-locals. However, as with any other city, missionaries should be careful when out tracting or on public transport. The area is prone to earthquakes as well. Nagoya is known for its arts. It is home to many well-known museums, theatres and festivals. There are both large and local festivals held year round. 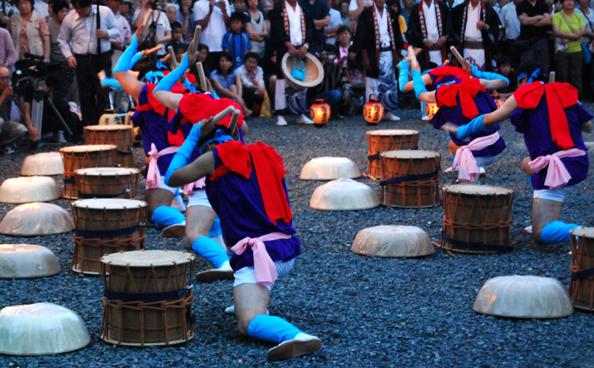 One of the most well-known festivals is the Atsuta Festival, held in June at the Atsuta Shrine. There is a “cultural path” inside Nagoya which has been preserved. It includes important castles, temples, shrines and museums. Nagoya also has professional sports teams which are widely supported by the locals. The Chunichi Dragons are a baseball team in the Central League, who won the Japan Series championship in 2007. The Nagoya Grampus are a football team in the J. League, who won the championship it 2010. The Nagoya Oceans are a soccer team who are in the F. League. They are fairly new — established in 2006. In Japan, soccer is very popular and is called “futsal”. Nagoya is located on the Pacific Coast of central Honshu. It is the capital city of Aichi Prefecture. The name comes from the adjective nagoyaka, which means “peaceful”. Climate: Nagoya’s climate can be described as humid subtropical. The summers are both hot and wet, with the hottest part of the summer reaching about 90 degrees Fahrenheit on average. The winters are cool, averaging in the low 30s or 40s. Humidity is at an average of 66.2 for the year. It can snow in the area, though it is not common.On average, it will snow 16 days out of the year between December and March. *What advice would you give to someone going to the Japan Nagoya Mission?